Point, shoot, and share. Kodak Easyshare is an inexpensive digital camera that takes quality shots and lets you share your pictures in a few, easy steps. If you are like me, you like to take pictures and take lots of them. There is always something to capture on your camera and share with friends and loved ones. Well, the Kodak Easyshare makes sharing those pictures easy and affordable. This digital camera is light and thin, which makes it convenient to carry around. It is small enough to fit in your pockets. It is a sleek camera that comes in various colors, including blue, green, red, and black. Its 12-megapixel resolution and blur reduction feature allow you to take quality pictures that are sharp and clear. This camera also has a feature called Smart Capture, which detects scenes and processes your shots. It recognizes faces, scenery, and different lighting conditions and automatically adjusts settings to give you quality pictures that are void of unnecessary or blurry images. Its 2.7” LCD view screen is wide and bright. It has a 3x optical zoom lens that allows you to magnify your shot considerably without sacrificing quality and clarity. If you like posting and sharing your pictures online, you will love how simple it is to share your photos with this camera. Once you snap your shot, all you need to do is press the Share button and tag it to YouTube, Facebook, Flickr, Kodak Gallery sites, or e-mail. After you tag your picture to the where you want it to go, hook the camera to your computer and it will automatically upload your pictures. This feature also works for any videos you record with this digital camera. It comes with rechargeable battery, so all you need to do is plug it to a power outlet to charge it. One of the most attractive things about this camera is its price. You can get it for just $100 at Target or similar stores and various sites online. 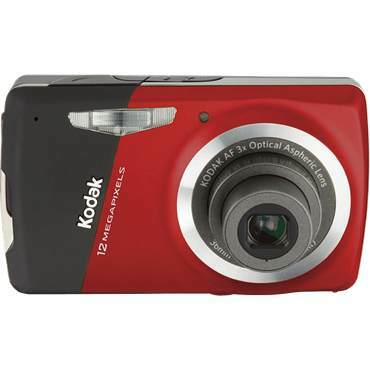 The Kodak Easyshare digital camera is a small and stylish camera that is affordable and easy to use. While it might lack some features found in more expensive models, it has all the qualities and features you will need to take quality pictures and share with loved ones. Can you tell me if you have a manual for this camera? Great pictures but do you have a manual….or tell me where to get one?